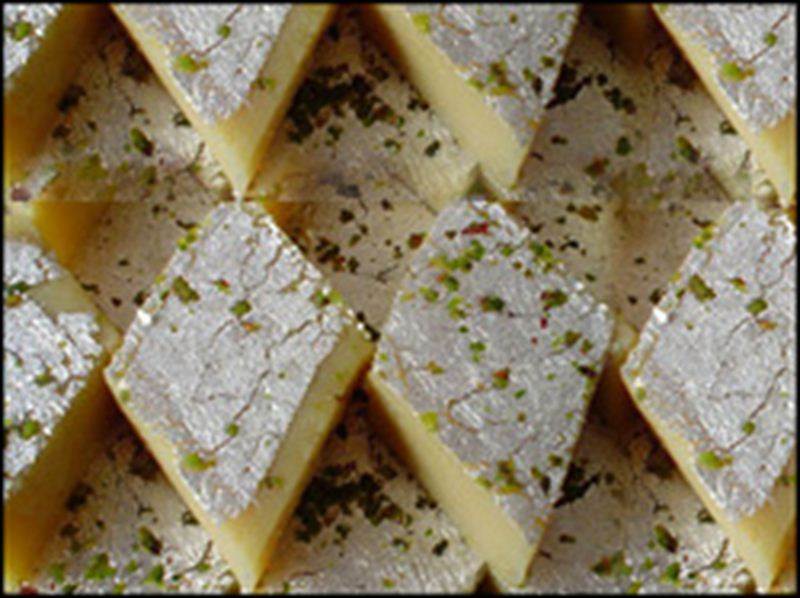 Barfi is a type of Indian sweet, usually in the form of lozenge. Barfi is often but not always, made by thickening milk with sugar and other ingredients (dry fruits and mild spices). It is then spread in a flat, shallow dish and cut into bite-sized pieces. These pieces are decorated with edible silver foil.